There are many advantages to owning your own business. Not only do you not have a boss who tells you what to do, but you also get to deduct company expenses before you pay taxes. You’ll be surprised to find out how many legitimate expenses now qualify as a business expense instead of just coming out of your pocket after taxes. This includes rent, payroll, office supplies, costs of good sold, and even tax preparation fees. 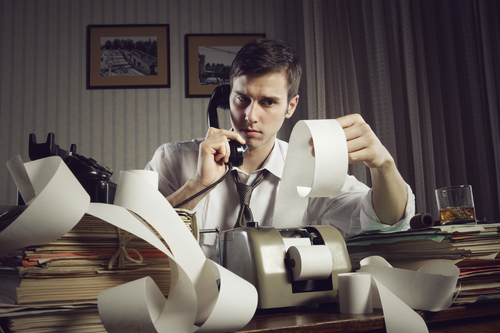 Our accountants can also help you find tax deductions you didn’t even know existed. For example, you can deduct 50% of many meals. You can also deduct travel expenses and some of your car expenses if your car is used for company purposes. Be prepared to bring your financial records, and your CPA will comb through them to find the items that can reduce your taxable income. Your CPA can also help you calculate estimated tax payments you should make for the current tax year. Hopefully, your rental property is making you money every month. But even when you earn money with your real estate holdings, you don’t have to pay taxes on all of that income. Obviously, you get to deduct your expenses related to taking care of the property and managing your tenants. Additionally, you can deduct depreciation of your property. Even though real estate tends to appreciate in value, the IRS allows you a write-off every year. On top of that, rental income is considered passive income. That means you don’t have to pay self employment taxes for this type of income, either. The number of people who work from home is growing every year. There are lots of advantages to working from home, which include choosing your own hours and cutting out commute time. If you’re an employee, you may not be able to deduct a lot of other expenses – especially if your employer furnishes your computer or reimburses you for your telephone or Internet bill. However, as a contractor, you can take advantage of a deduction for the business use of your home. You can also deduct any expenses related to your business, although sometimes you can only deduct the partial cost if it’s also needed for personal use. Your CPA can help you maximize those deductions to decrease your taxable income and how much you have to pay in taxes. Whether you’re separated or already divorced, your financial situation is going to be different now. If you’re still married, you’ll have to determine how your ex is filing. It might be possible to file a last return jointly, but that will depend on the status of your divorce and how well you get along with your ex. Otherwise, you’ll both have to file married filing separately – which is the highest possible tax bracket. Your accountant can help you minimize your tax liability and file your taxes correctly by accounting for alimony and child support payments. They can also help you claim your dependents and dependent care credits. It’s a good idea to bring along relevant paperwork for your divorce to ensure you’re not both claiming the same child on your return, because that’s not allowed. There’s probably only one person you’d like to see even less often than your dentist: an IRS agent. The IRS doesn’t have a great reputation, but mainly it’s because nobody really wants to pay a lot of money in taxes. The problem isn’t really the personnel at the IRS, either – it’s just that taxes are so complicated. If you’re not sure you’re doing them right or you really don’t want to represent yourself in an audit, you should hire a CPA to take care of it for you. They’re not afraid of the IRS, and they can confidently handle your case and explain in layman's terms what’s actually going on. A CPA can also help you do some tax planning to reduce your taxable income for next year.